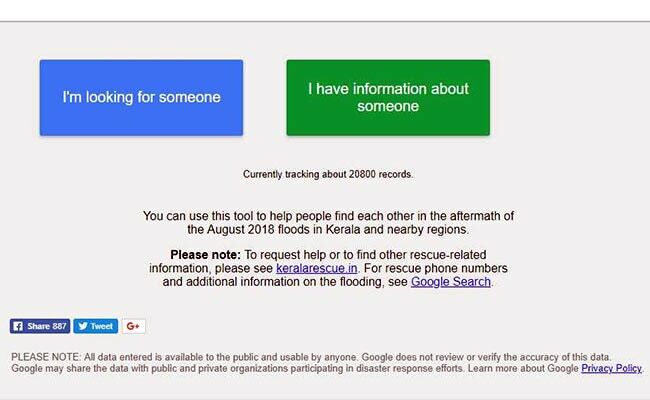 Even when people in flood-hit Kerala are offline, they can use their Android smartphones or tablets to generate and share the "plus code" of their exact location, which can pinpoint their whereabouts and make it easier for rescue workers to reach them, Google said on Saturday. A plus code includes six or seven letters and numbers, and a town or city. To find the plus code for a place on an Android phone or tablet, users need to open the Google Maps app and touch and hold a place to drop a pin on Google Maps. To search for a place using a plus code, all the rescuers or family members of people stuck in the floods need to do is type the plus code at the search box of the Google Maps app. Twitter earlier this month said that in flood situations when communication services are limited and Internet connectivity is poor, using the data-friendly "Twitter Lite" can help people connect easily with government agencies, relief organisations, media and volunteers. Facebook is updating information about the flood situation in Kerala in its Crisis Response Page. The social networking giant last week activated the "Safety Check" tool that allows users to indicate whether they are safe or not. Thousands of people are still perched on trees and rooftops, waiting to be rescued. Water has even started entering relief camps. Other messages have been sent from people trapped inside temples and hospitals as well as their homes. 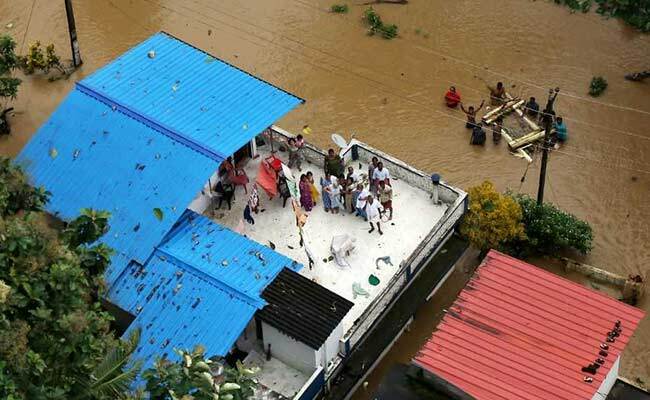 The government says 10,000 kilometres of Kerala's roads have been destroyed or damaged, along with thousands of homes. The damage is unparalleled. Industry has suffered too. On top of tourist cancellations, Kerala's valuable rubber industry has been hit severely by the floods. Electricity supplies to more than half the state have been cut. About 7,000 people have been saved so far, but some 6,000 are still awaiting rescue, say officials. Ten columns of the Army and 10 teams of Engineering Task Force, comprising 790 personnel, have been deployed in the state. 82 teams of the Navy, 42 of the Coast Guard have also been deployed along with five Companies of paramilitary troops for rescue and relief operations.